In the history of the Catholic League, no team had ever climbed back from 13 points down at halftime of the Catholic League championship. That changed on Feb. 27. 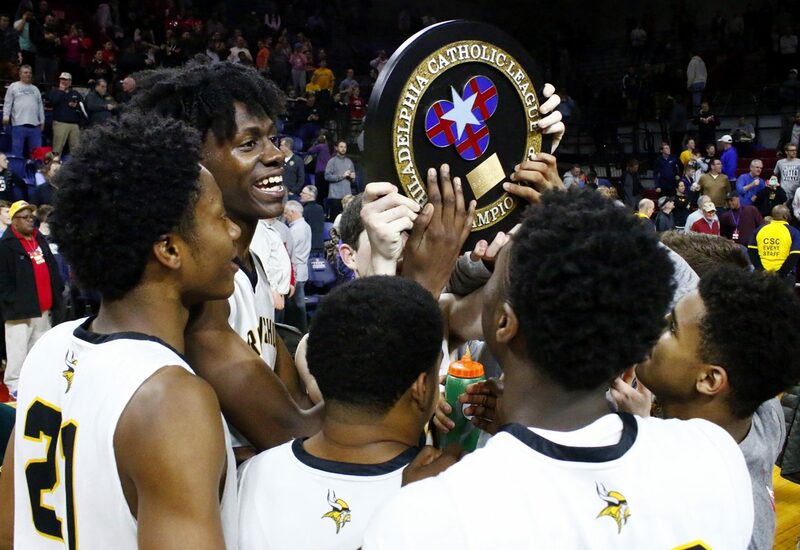 In front of a sell-out crowd at an electric Palestra, Archbishop Wood pulled a Lazarus act. Trailing 31-18 at halftime behind woeful shooting and debatable decision making, the Vikings left Clark Kent in the locker room and emerged as Superman. Or, in this case, Supermen. Suddenly nailing their shots from all over the gym and wreaking havoc for Neumann-Goretti’s suddenly silenced snipers, the Vikings outscored the Saints by 25-10 in the third quarter, then thoroughly outplayed them in the fourth to capture a 65-58 triumph and the 51-year-old program’s first-ever Catholic League basketball title. On Thursday, three nights removed from their historic feat, standout Vikings were asked to describe the experience. But a thoroughly interesting response occurred: Wood’s players were more inclined to focus on the upcoming PIAA district and state playoffs. “We enjoyed it the past couple days, but now we have more to do,” said Villanova University-bound senior guard and league MVP Collin Gillespie. “It has been crazy socially the last couple days just having people you don’t really know in the area come up to you and congratulate you and stuff like that, so it’s been pretty cool. Gillespie was held to two points in the first half, but a one-quarter, career-high 16 points in the fourth quarter left his stat line with a more appropriate 24 points – he averaged 24.1 in 13 regular-season league games – to go along with seven assists. Even when the Vikings trailed by 15 in the second quarter, Gillespie insists he remained confident. 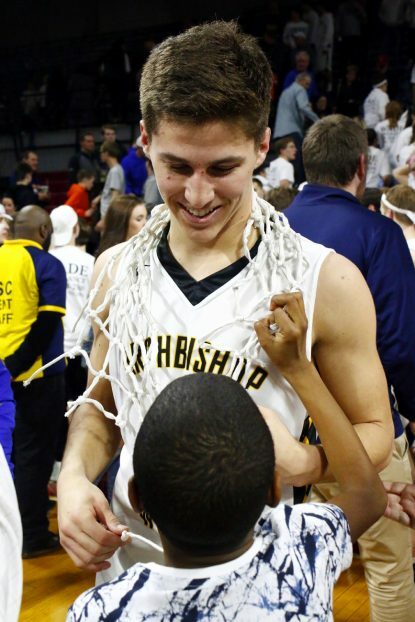 The 6-foot, 2-inch star who swished his last six free throws in clutch time was asked for his fondest memory. “Socially it’s been kind of crazy,” said Cerruti. “A lot of people are coming up to all of us and telling us ‘Great game,’ ‘Congrats,’ or texting us and telling us ‘Congrats,’ but I guess it comes with the territory of winning. While players such as junior Tyree Pickron (three three-point shots in the third quarter) may have stood out more, junior Andrew Funk contributed four key rebounds, two steals, two points and tenacious defense. Nothing like putting one’s dribble to the grindstone. Congradulations. I know my friend who played for West Catholic in 1959 would be happy fort them.